Portuguese Super Cup betting tips, predictions and previews - Winning picks and selections from Portuguese football experts. The Portuguese Super Cup (Supertaça Cândido de Oliveira) is an annual football match in Portugal. The match features the Primeira Liga winners and the Portuguese Cup (Taça de Portugal) winners. The Portuguese Super Cup has been organised by the Portuguese Football Federation (FPF) since 1981. The match is normally played in August before the start of the Primeira Liga season. The trophy is named after former player, coach, and sports journalist Cândido de Oliveira. If one team wins both competitions they will compete against the runners-up of the Taça de Portugal. The competition dates back to 1944 when Primeira Division champions Sporting CP and Taça de Portugal winners Benfica met to mark the inauguration of the Estádio Nacional. They competed for the Taça Império with Sporting claiming the trophy after a 3-2 win after extra time. The next edition was 20 years later in 1964 and called the Taça de Ouro da Imprensa. The match between the national champions and the cup winners saw Benfica get their revenge against Sporting CP with a 5-0 win at the Estádio do Restelo in Lisbon. The Portuguese Super Cup returned in 1979 with a derby between Porto who were the Primeira Liga winners and Boavista who won the Taça de Portugal. Boavista won single match 2-1 at the Estádio das Antas in Porto. The following season the Portuguese Super Cup became a two-legged affair (home and away), another Lisbon derby between Benfica and Sporting CP with Benfica winning 4-3 on aggregate. The Portuguese Football Federation (FPF) then decided to keep the competition every years as a two-legged format. The rules meant that if the two teams couldn’t be separated by goals after two legs, a replay would be played in a neutral ground. This occurred six times in 1984, 1991, 1993, 1994, 1995 and 2000. The last Portuguese Super Cup to feature two legs was in 2000 with the competition becoming a single match from 2001 to be played at a neutral stadium. Since 2009 the match has been played at the Estádio Municipal de Aveiro with the only exception being in 2015 when the match occurred at the Estádio Algarve. 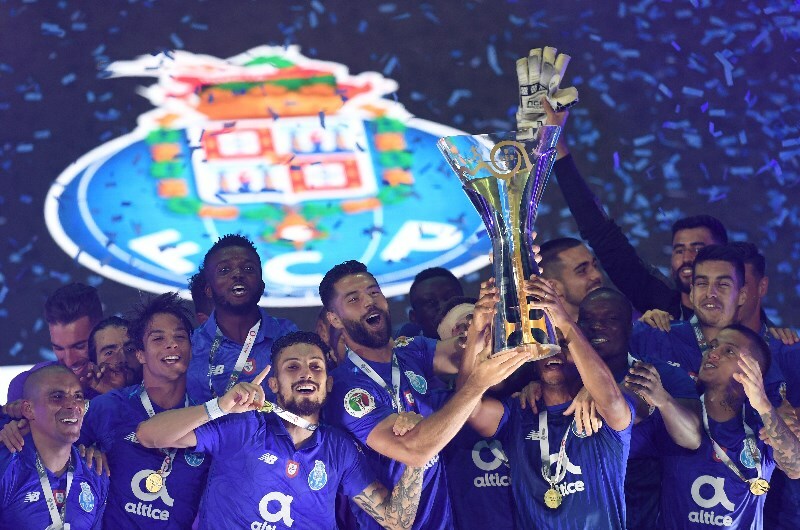 FC Porto have won the most Portuguese Super Cups with 21 titles. Sporting CP have won eight and Benfica have won seven titles, the Eagles have been runners-up a record 12 times. Boavista won three Portuguese Super Cups in 1979, 1992 and 1997. The only other club to win the title was Vitória de Guimarães in 1988.